As a business owner, many different aspects deserve your attention. The last thing you may worry about is safety of your location. Closed commercial locations are a prime area for theft and other malicious behavior. Our commercial based remote monitoring solutions help ease those worries and concerns. 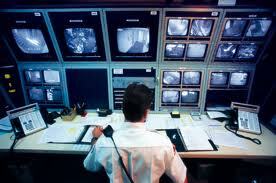 Our remote monitoring systems work 24/7, giving you constant protection. Our commercial remote monitoring solutions can be designed to fit almost any need. Tri-State Life Safety is a leader in protecting commercial properties. Our systems can monitor your video feeds and access control systems; in addition to constant monitoring of both your fire and security alarm systems. Looking for a Residential & Home Based Video Monitoring System?